Boost Your Marketing Performance - Get Better Results! As the decision maker in your business, marketing often feels like the hardest part of your job. All the platforms, tools and data often cause more confusion than certainty. Marketing is hard to delegate because your team doesn’t have the passion or vision to get it right on their own. So, if you’re not driving it, it doesn’t get done. And that is the challenge, because running a business pulls you in so many directions. You know it’s important, but it’s often not urgent. Until it is. Empower Your Team, Free Your Time! 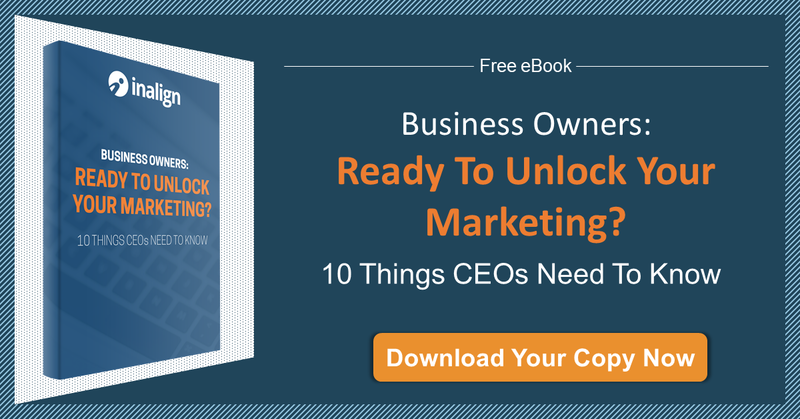 You need a roadmap to revitalize your marketing. A prioritized plan of action based on a thoughtful strategy. We come up to speed on your business, then assess your competition and review what you’re currently doing. From that we create a prioritized plan that will move the needle. Keep in mind, we’re experts, not service providers. We design the plan, your team can handle the tactics, and you can run your business. “The digital audit provided by Inalign gave me clarity by establishing an objective professional assessment of our performance across all of our digital marketing channels and a prioritized roadmap for improvement."